We are now closed for Christmas – reopening on Saturday 6th January. Thanks everyone for your support this year – Happy Christmas! 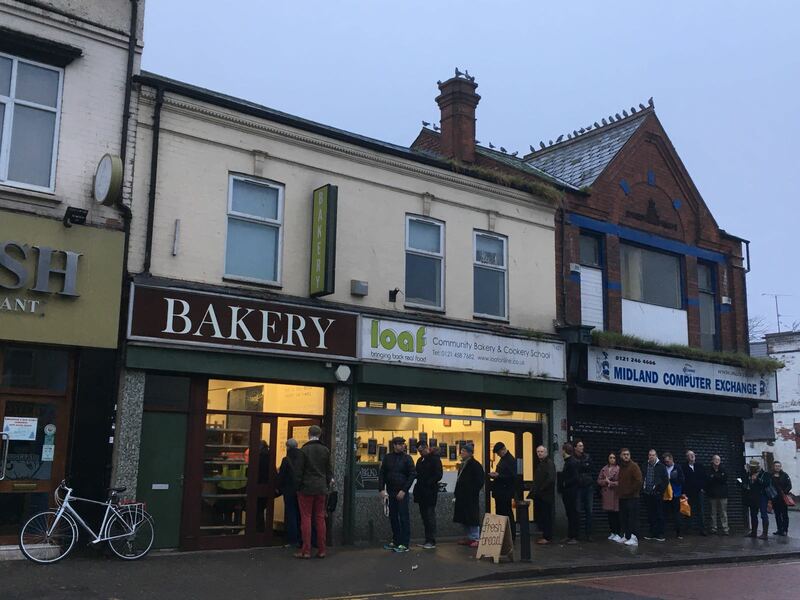 Great photo from yesterday morning’s 8.15am opening by one of our bakers, Sarah Frost. Patiently queueing people and pigeons.